For any small or medium-sized business, fulfilling your company’s tax obligations isn’t the easiest thing to get your head around. Dedicating time to your taxes can be difficult in the midst of managing the rest of your business, which is why the team at Keith Willis Associates provide full business tax services throughout Nottingham and the surrounding areas. Our experienced team of accountants will ensure all your company tax returns are filled out accurately and managed reliably at all times. We offer a meticulous business tax preparation service to guarantee the avoidance of any penalties, and to keep your tax records up to date as your business grows and develops over time. 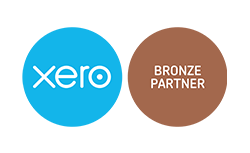 If you require the services of a proven chartered accountants to handle your small business tax requirements, contact the team at Keith Willis Associates today – we’re always happy to help.